First cook all the ingredients except the salsa and avocado, a little oil and seasoned with garlic powder, salt and a little cayenne pepper. 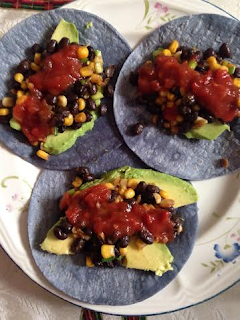 Then place the avocado on the tortilla and place on the rest of the cooked items on top and enjoy. Thank you we appreciate those nice words.